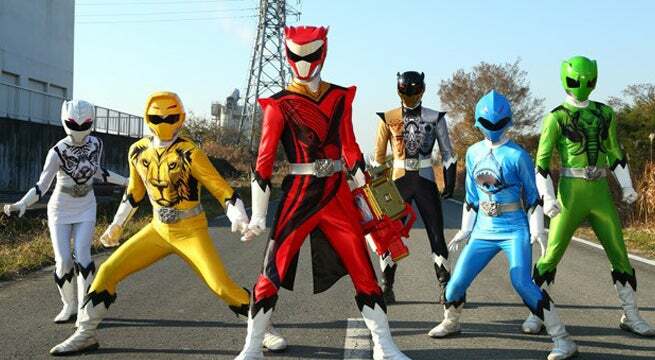 The Power Rangers are a stateside phenomenon, but their origins come from the Japanese series Super Sentai. Now that there are Power Rangers comics though, could a crossover ever happen? That question was one of the many asked of writer Kyle Higgins at the Go Go Power Rangers panel at New York Comic Con. Higgins currently writes the successful Mighty Morphin Power Rangers series for BOOM! Studios, a series in which Higgins has already added quite substantially to the Power Rangers lore. 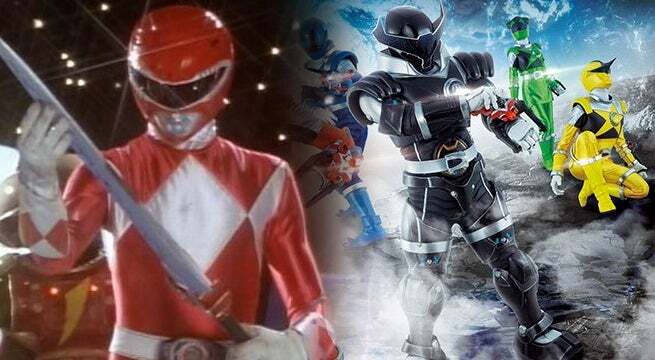 A television crossover is something that will likely not happen since the Super Sentai footage is what is used in the Power Rangers episodes themselves. That said, could fans see it happen in the comics? "Not from me," Higgins said. "There are rights and all that, but also, I would have to have a story that I am compelled to tell and as a writer, I don't want to just bring them together unless there is a reason. Even the Drakkon stuff is a cautionary tale and there are some dark things that can come out of that. So that crossover probably isn't likely to happen." Sigh...oh well, one can dream, right? When it comes to Power Rangers though, never say never. As long as there are more seasons of Super Sentai and Power Rangers coming down the pipeline, a storyline worth visiting could present itself. Just because Higgins isn't tackling Super Sentai doesn't mean he's done adding to the Ranger legacy. The aforementioned Lord Drakkon storyline was a big addition, adding in a whole other universe to explore as well as an incredibly popular villain. Higgins also recently introduced the original Red Ranger, kicking off a storyline that will again unearth unknown secrets about the Power Rangers, their mission, and their leader. Hit the next slide to find out more about Super Sentai! Slide 1/2 – What Exactly Is Super Sentai? Super Sentai debuted in 1975 under the title Himitsu Sentai Gorenger. The series was created by Kamen Rider and Cyborg 009 creator Shotaro Ishinomori, though Gorenger and the second season Dengekitai were not considered part of the Super Sentai series until 1994. After Toei and Marvel had Spider-Man face off against a giant robot in their live-action adaptation, they spun the premise out and created Battle Fever J in 1979. It wouldn't be until 1980 though that Toei would create their first solo Super Sentai series. The series was called Denshi Sentai Denziman and kicked off many of the traditions seen in future seasons, like transforming Zords, helmet visors, and morphers, though those names were not attached just yet. Since then the series has spawned 41 seasons, including 2016's Doubutsu Sentai Zyuohger and 2017's Uchu Sentai Kyranger. Haim Saban would eventually acquire the English rights to the series, adapting 1992's Kyoryu Sentai Zyuranger into 1993's Mighty Morphin Power Rangers, launching a worldwide phenomenon. Since then Saban has adapted most of the Super Sentai series, except for one or two that wouldn't translate to stateside audiences. 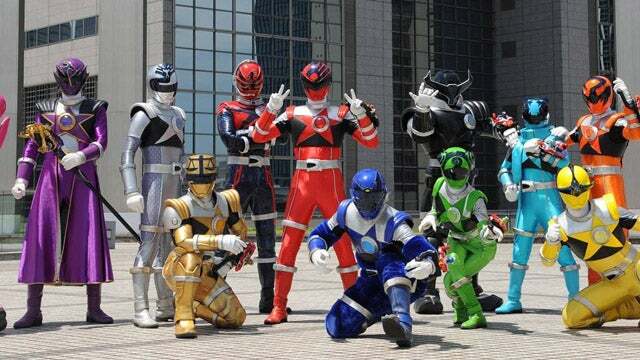 While there might not be a crossover between the Power Rangers and Super Sentai coming, Toei is planning something pretty spectacular for the next season of Super Sentai. The company trademarked two different names for their next season, indicating that two teams will be involved in the storyline. Toei trademarked Keisatsu Sentai Patoranger and Kaito Sentai Lupinranger, and the immediate thought was that the two would be teaming up. If a new report that popped up is true though, it could be something even better. According to J-Hero, both teams will indeed be part of the season, but each one will have their own storyline. Each week will alternate storylines that are unique to each team but also contain similarities. Those stories will converge in Episode 20, becoming one narrative until the end of the season. The Patorangers will try and take down the Lupinrangers, but that same report indicates there will also be one undercover Ranger, giving both shows a solid tether to each other. Each one will also get a separate toyline, with an assumed third toyline coming after the shows unite. It is certainly an interesting premise, but it is important to note that Toei has not confirmed this to be true. Hopefully, that changes soon.